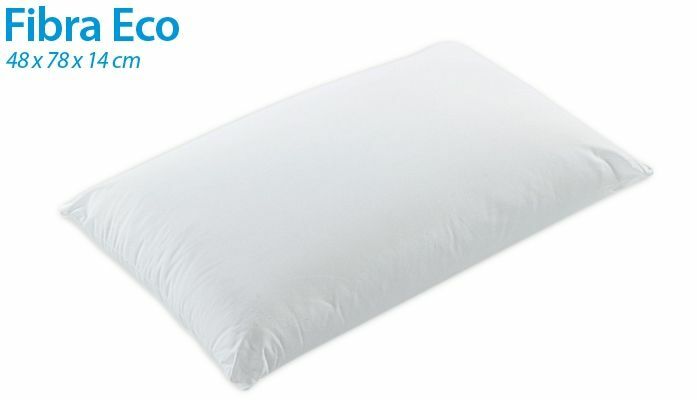 The fibre pillow has been developed for all those seeking the characteristics of a cotton pillow-case combined with soft polyester filling. The main characteristic of the proposed fibre pillow is natural breathing, a major benefit that provides absolutely restoring rest. The Mollyflex brand fibre pillow is filled with carded hypo-allergenic polyester fibre, superimposed in veils, which provides soft and comfortable support for normal rest requirements. This is a totally non-allergenic sleeping product, particularly suitable for those who sleep on their back or side, which are the best sleeping positions.